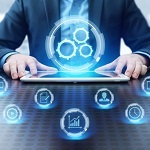 The Department of Veterans Affairs is deploying a new electronic claims processing system nationwide at regional benefits processing offices in an initiative to eliminate the backlog of claims by 2015. As of December 2012, the VA said 18 regional offices have implemented the new system and are processing newly-received claims in a digital, paperless format. Full deployment at the 38 other offices is scheduled to occur this year, the VA said. The Veterans Benefits Administration has processed nearly 1 million claims per year over the last three fiscal years, according to the department. “We continue to transform our claims system to be more responsive through new processes and technology, because taking care of our veterans and their loved ones is our highest priority,” VA Secretary Eric Shinseki said. 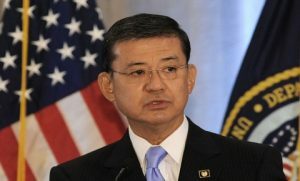 Shinseki has set a goal for the department to process claims in 125 days or less with a 98 percent success rate by the end of 2015, the VA said. Through the Veterans Benefits Management System, VA claims representatives store claims and view them in electronic formats and send claims electronically between regional offices. I have a question regarding my claims which were submitted in April 2012. Will my claims be processed under the new system. Seems that my claims have remained dormant for a long time and I have no clue if the data I provided for these claims has been accepted or not. Sure would be if the veterans could get better response to he status of our claims.